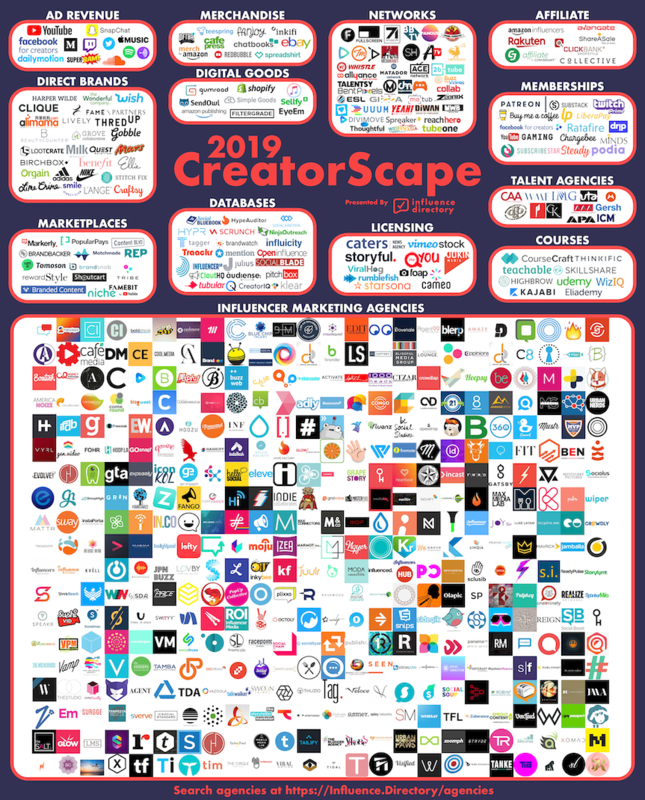 The 2019 edition of CreatorScape lists 639 businesses that run the Creator Economy. 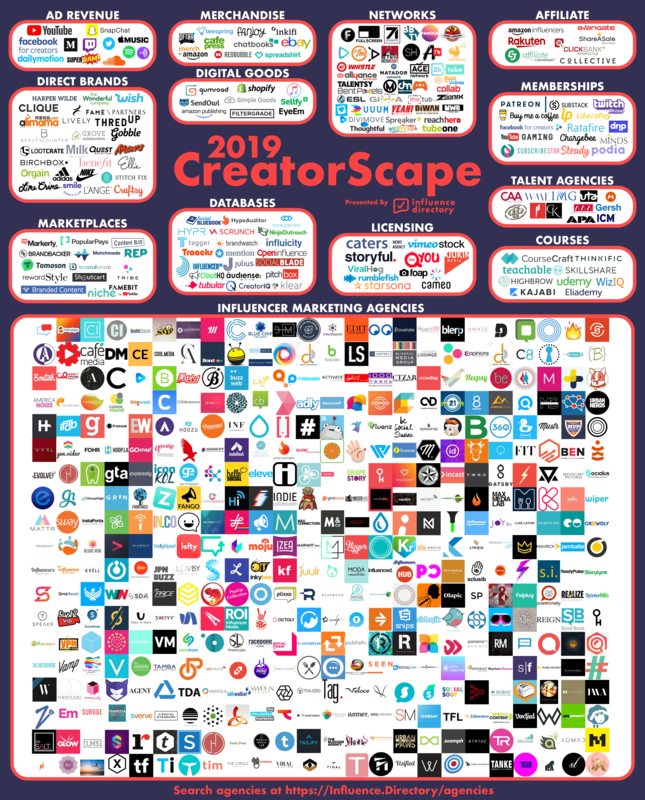 CreatorScape originally premiered to Influence Weekly subscribers. It's the secret weapon for CEOs, CMOs, Advertisers, Agencies, and Influencers delivered to your inbox every week. Click here for hi-res version. Shopify - Set up a storefront online. EyeEm - Sell photos and videos. Amazon Publishing - Sell books. SendOwl - Sell a product on your blog with a link. Subscribe to Influence Weekly for case studies, interviews and insights delivered to your inbox every week. DFTBA - by Hank Green, for Creators. Fanjoy - Limited edition merchandise experiences from your favorite people like Casey Neistat and David Dobrik. Cafe Press - Custom t-shirts, stickers, posters, coffee mugs and more. Chatbooks - Create books from your Instagram account.